The Red Sox continued to tinker with their pitching staff before Sunday night's game in Houston. The Red Sox have promoted reliever Pat Light (pictured), who adds a power arm to the major league bullpen, and Sunday night's starting pitcher Henry Owens. In a pair of corresponding moves, the Red Sox have optioned right-hander Noe Ramirez and left-hander Roenis Elias to Triple-A Pawtucket. This will mark Light's first trip to the major leagues. Drafted in the supplemental first round of the 2012 amateur draft, Light struggled as a starter in his first seasons in the Red Sox organization. However, he turned a corner and returned to prospect relevancy last season after converting to relief full-time and re-integrating a splitter, which he threw in college but had not used since, to his repertoire. He currently ranks 15th on the SoxProspects.com rankings. Light dominated in 21 appearances with Double-A Portland last season, pitching to a 2.43 ERA with 9.7 K/9 and 3.3 BB/9. He struggled with his control after a mid-season promotion to Pawtucket, walking 7.1 per nine and watching his ERA balloon to 5.18 in 26 appearances. In 6 2/3 innings this year, he has allowed three runs on three hits and three walks while striking out 10. 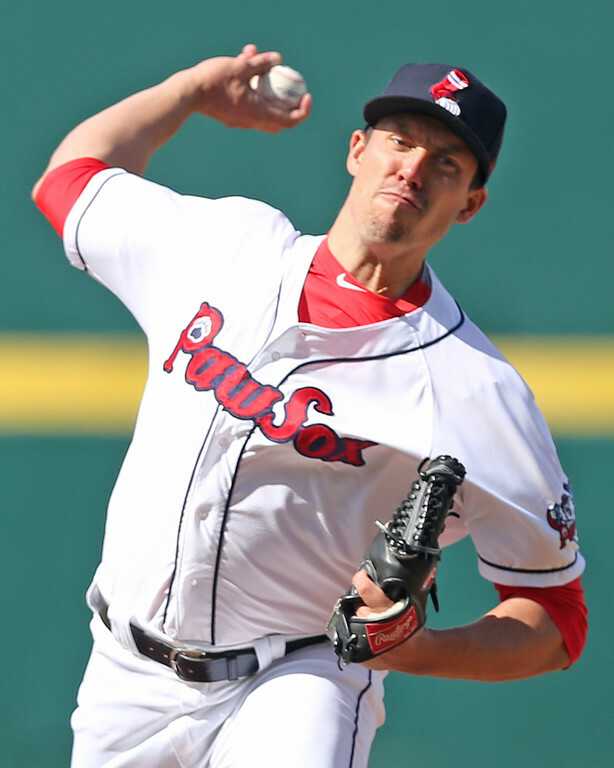 Owens was in competition to earn the fifth starter job with the Red Sox during spring training, but his control was shaky and he was optioned to Pawtucket to start the season. After three impressive starts in Triple-A in which Owens is the owner of a 1.00 ERA and 23 strikeouts in 18 innings pitched, he'll get his chance in Boston to replace the injured Joe Kelly. He has had control troubles throughout his minor league career and those have continued this season, as he has walked 10 batters, but he also has consistently struck out batters at a high rate and recorded strong results. Ramirez has been bouncing between Pawtucket and Boston recently as he was optioned to Pawtucket on Tuesday in exchange for Heath Hembree only to return to Boston the next day after Kelly was placed on the 15-day disabled list. Ramirez has been mediocre in the major leagues this season, sporting a 5.79 ERA and walking seven in 9 1/3 innings. Elias made his Red Sox debut on Saturday afternoon against the Astros. The left-hander allowed three runs in 1 2/3 innings of relief after having worked as a starter in Pawtucket, posting a 3.86 ERA in 9 1/3 innings with the PawSox.